Today on a very special podcast, Heinemann author and lead staff developer with the Teachers College Reading and Writing Project, Cornelius Minor sits down to interview NYTimes Best Selling author Kwame Alexander. 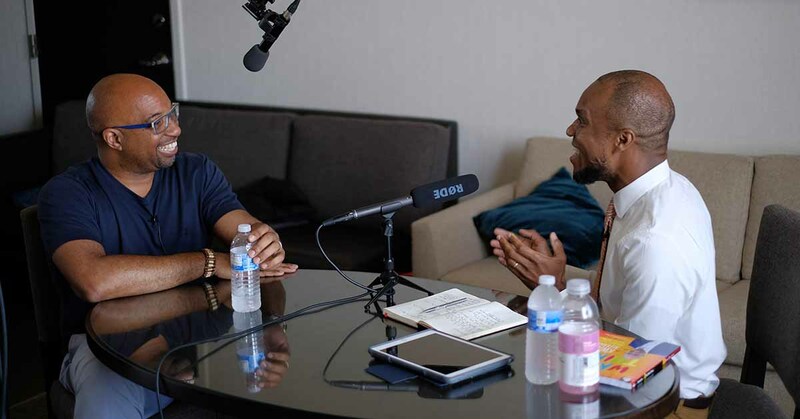 In a wide ranging conversation, Cornelius asks Kwame about his first teachers, the people who prepared him for the work he does today, and how he connects students to poetry. Kwame Alexander is a poet, educator, and the New York Times Bestselling author of 28 books, including SWING, SOLO, and REBOUND, the follow-up to his NEWBERY medal-winning middle grade novel, THE CROSSOVER. Kwame’s newest book The Write Thing is available now. Kwame is also the forward author on Cornelius Minor’s forthcoming Heinemann book, We Got This! Equity, Access, and The Quest To Be Who Our Students Need Us To Be, due out this fall. Here now is Cornelius Minor and Kwame Alexander…. Below is a full transcript of the conversation. Cornelius: Well, welcome, welcome, welcome Kwame Alexander, here with us on the Heinemann Podcast. My name is Cornelius Minor. I have absolutely just been in love with everything that you have done, and there are very few artists that I can say that about. It's one thing to know your work in your books, but for me, as an educator, I have seen the impact of your work on children. Kwame: You can't start of the podcast saying that man, now I'm all like wow. I mean, the thing about it is, first of all, I appreciate you having me here. I've listened to the Heinemann podcast, I've listened to you, I've known you for a while. When you share those kind of accolades with someone, when you share that kind of praise, what it does for me, is it makes me realize I got to be accountable. Like I got to be responsible for what I'm saying, for what I'm doing, 'cause there are people out here in the world who value it. That's important. That's crucial. Thanks for putting that pressure on me. Cornelius: But I think the thing about your accountability is you seem to live the kind of life where accountability isn't the kind of thing that you do, it's the kind of person that you are. I guess, my first question stems from that. I wrestle a lot with history, and I'm always trying to make history make sense with right now, especially right now, when some of the most vulnerable people on the planet are children. Frederick Douglass has a quote that says, "It is easier to build strong children than to repair broken men." 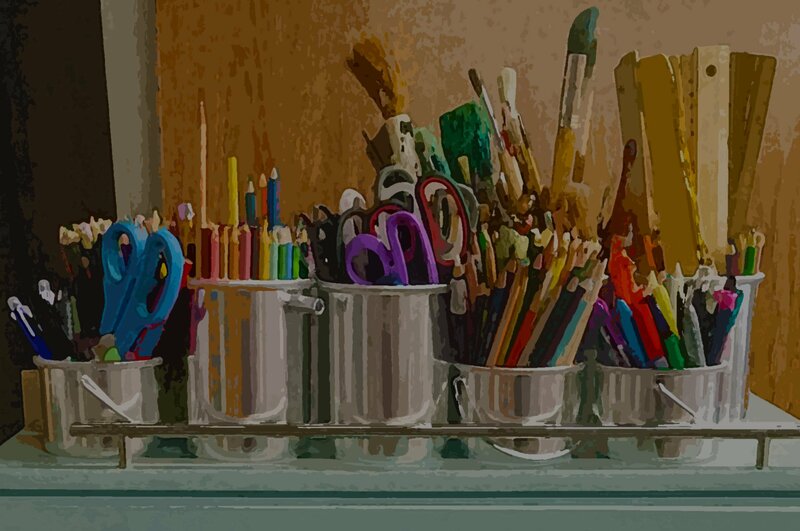 When I look at your work, it is clear that the poet that you are, the generous educator that you are, that you are a strong child, who has become this strong artist. That tells me that there's something intentional that someone did with you, to make you who you are right now. When I think about the teachers listening to this podcast, I would love to hear you talk about, what were the things that the adults in your life did with the child that was Kwame Alexander, that made you who you are right now. Kwame: Thank you for that, and thank you for giving me the space to talk about the people, that tribe, the community, 'cause that's so important. We get so caught up sometimes, or I do, in talking about the work I'm doing, but yeah, it's the people around me who've made it possible. It's got to go back to family, man. Kwame: It's got to go back to my grandparents. My grandparents were my first teachers, my parents were my first teachers. They were my first librarians. We can talk about sort of the formal education in a minute, but my grandparents and my parents created this space where, A, you're black. B, you can do anything you want to do in this world. C, because you can do anything in this world, you got to be prepared in the things that you're going to do. We have to prepare you for that work. D, there are going to be people in this world who are going to try to say no to you. You can listen, you can learn, but ultimately, you are in charge of saying yes to yourself. We're going to create this confidence in you, that allows you to move through this world, and be who you need to be, and do what you want to do, regardless of whatever else is going on. Now, you're going to face challenges, but we're going to give you that confidence. E, I think is probably the most important thing, Cornelius, is because of this responsibility, or because of these things that you're going to be doing in this world, and that we're preparing you to do, you got to be accountable for it. You got to be responsible for it. You got to take it seriously. That came in a variety of ways. It came in my parents immersing my sisters and I in books, in literature from a very early age, and sort of understanding the power of words, and how to use your words. It came from something like understanding that accountability and the praise that we're heaping on you, and what we expect from you, the expectation, and not adhering to that. Now, there are repercussions. As a seven year old, maybe that repercussion was my grandmother, go outside and cut a switch off the tree, cut a branch off the tree. Kwame: I don't know if we can talk about like getting spankings, 'cause today, it's whole different thing. But growing up in Chesapeake, Virginia, and my grandmother saying, "Get your own switch." Then she slacking me across the leg with it. Me standing there and taking it. Like there are going to be repercussions, and you got to be prepared for it. That's a really simple way of looking at it. Those kind of things stuck with me. From a formal education, yeah, I had teachers like Ms. Virgil in the first grade, who said if we read a hundred books, we got a T-shirt that said you read a hundred books. I wanted that white T-shirt with red letters. I read a hundred books in like two weeks. I was the first one to finish. She knew what it was what I needed. For me, I wanted the T-shirt. I wanted the T-shirt, whatever it was. The T-shirt was a metaphor. I read a hundred books, and I was excited and engaged, and empowered. Or my 12 grade teacher, Ms. Morgan, who asked me to write a paper on any book that we had read. I wrote a paper on Things Fall Apart, and she gave me an F. She gave me an F, Cornelius, because she said the paper was too good, and it was almost as if a college person had written it, and there's no way I could have done it. You've got this one teacher, Ms. Virgil, who's empowering me, and you've got this other teacher, Ms. Morgan, who's destroying. Teachers can be both. That accountability. What kind of student are you going to sort of raise in your home, in your classroom home? I think teachers can empower, or they can destroy kids. Cornelius: Yeah, I mean, that's so right. One of the things that I hear a lot in the teaching world, is people say, "Well, I have to engage in this destructive practice in my classroom, because this destructive practice is going to meet them in college." Or, "The world is harsh." I've always said that we don't prepare kids for harsh realities beyond our classrooms, by inviting those harsh realities into our classrooms. That we can keep kids safe, while building bridges over those harsh realities. That's like big stuff. Kwame: Yeah, it reminds me of this idea of how do you prepare children to go out and face the world. There's got to be some wit, some wisdom. There's got to be some intelligence. It can't just, like you said, you can't just invite that sort of harshness into the classroom, as a way to do it. My father, when I decided I wanted to be a poet and wanted to try out my own publishing company. This was right after college back in 1991, and I had studied with Nikki Giovanni, and I felt like I was the guy to do this. And my father, who owned a publishing company said, "It's never going to work. You're not going to make any money. Why are you even thinking like this?" He was upset. I was like, "You're a publisher, I want to publish. I'm going in, I'm following your footsteps. You don't want me to publish poetry? It's never going to work." He was like, "Bam, bam, bam." I was like, "Okay, well." I was living in the area in Chesapeake, Virginia. I was working for his publishing company. At that moment, I was like, "Dude, I love you, but I can't work for you anymore." I resigned from my father. How do you resign from your father? I resigned and I said, "I'm starting my own company. If we can't publish poetry with you, then I'm going to start my own company." I remember, man, like it was yesterday. We -I was married- we packed up the bags. We were leaving to move to DC area. He gave me a check for $1700. I was like, "What's this for?" He said, "It's for you to do what you need to do." I took the money, and I printed my first thousand books with it for my company. Kwame: That began a 26 year career in writing and publishing. I talked to him about it, like recently, and I was like, "Dad, you never believed the poetry thing was going to work out. You weren't a supporter." He was like, "Where did you get the money from to start it?" Kwame: He was like, "I knew you could do it. I needed to let you, I need to sort of be a barrier, while at the same time being encouraging. I needed to show you the harsh realities of this world, because no poet, poets don't make money, unless you're Maya Angelou or Billy Collins." It's just real. Kwame: He said, "I wanted to show you. I wanted to really make sure you knew that. And at the same time, I believed that you can do it. This was going to be, I was going to put my money where my mouth is." It's so funny man, 'cause when I won the Newbery medal, he was the first call I made. I said, "Dad, I won the Newbery." He said, "Yeah, we did it." I think there's ways you can prepare your children for the world that's instructive, inspiring, and ultimately, empowering for them. Because you want them to face it and succeed. That's the goal. Kwame: You don't want them to be like challenged, and not be able to bounce back, and not be able to rebound. Kwame: Which he wants back. Kwame: He keeps telling me, "When I'm getting my royalty?" Cornelius: I'm sure, I'm sure. I talk to so many children, and I'm in classrooms all the time. One great luxury, is I get to read your books with kids. They're going to beat me up if I go back to Brooklyn and don't ask you some questions about these books. Cornelius: I want to kind of connect it to your situation with your dad, in that the most beautiful experience that I had in the classroom this year. I worked with a teacher named Ms. Anstad, in her sixth grade room. We read Solo together. The kids elected the books. We had a huge vote. Books got voted off the island. Solo survived. Cornelius: We read Solo together, and they had beef with Rutherford, man. They had a huge, they had a time with Rutherford. What's interesting is I had to really talk to them about the concept of a rockstar. In many ways, you are a rockstar. I think about that $1700 check and I think about you now. The thing about a rockstar is we want the rockstar to be on rockstar levels at all times. For Rutherford, we wanted Rutherford to be that front man for the band the whole time. But it was really hard for the fans to accept the complexities of Rutherford. They want the rockstar, but they don't want the complexity that comes with it. With you, we've got a bonafide poet rockstar, but there's something where you've been able to communicate to people the complexity of being Kwame. Cornelius: I would love to know, how have people on your path nurtured the rockstar, while loving the complexity? Kwame: I don't know if I like being in the same sense with Rutherford. Kwame: I don't know if I like that Cornelius. But you're right, it's complex. It's conflicting. I don't even know if I'm answering the question, but I'll share this. You and I both share this belief that family is first. This work we're doing is, the work is always going to be here. Family is first, and so I've been touring, I've been traveling. I've been out trying to change the world, one word at a time. I always try to make sure that I bring my family with me as much as possible. We're going to Ghana for a week. You and I are here at the International Literacy Association, which is this date has been booked for a couple of years. I've known about it for a year or so. When I booked it, I knew that my daughter had a play. She's into Broadway. She's into theater, she's acting, she's nine years old. She thinks she's the next Viola Davis. Kwame: She's good. I saw her in Aladdin in April. I was in the middle of a book tour, and I arranged the book tour so I could come home for those two days, and go see her on opening night. She was stunning. I knew that she had a big event, Lion King, and when it was originally scheduled, Lion King was going to be on Friday, the 20. I'm like, cool. I told all of my publishers, I'll be at ILA on the 21. I will not be there on the 20. I love my work, but I don't love my work more than I love my family, or so yeah. Kwame: A month ago, the play, her theater company called and said, "We changed the date, the play will now be on the 21." Of course, there are four events, four opportunities for me to interact with teachers. Four opportunities for me to share my passion for this work. Four opportunities for me to change the world one word at a time, this thing that I love. Do I call four publishers and tell them, I can't be there. Of course, that's my thing. That's when I'm going to do. Kwame: My daughter says, "Dad, I'll ask the director if you can come to the technical rehearsal on Friday and just see it." I'm like, "All right." I get to the technical rehearsal on Friday. They're not having it. They're just going to do a choreography, a walkthrough. She looks at me and she says, "Dad, it's okay, we'll be in Ghana next week together. You go, you can see the DVD." That was sort of devastating, and ultimately, empowering in so many ways. I think, man, we were just talking about community. It was hard not be there yesterday. You can't make a habit out of that, but how important is it to have people around you, who understand the work that you're doing, your children, your family. I think I'm able to do this because they allow me to do it. It's as simple as that. Kwame: They allow me to do it. You've got to surround yourself with people who understand and value the work that you're doing as much, or even more than you do. Else, it can't work. Cornelius: No, I mean, but you got it. Even when I think about students, I have to understand their passion. I have to understand their mission. If I don't allow them to be who they are, it doesn't work for them either. That's really, really, that's huge. To me, that feels like everything. That your daughter saying, "Daddy, I see you, and I'm a let you be you, 'cause I trust that you won't make a habit of this." Kwame: Right. Yes. It's a fine line that you got to walk. It's a fine line. I do remember my father not being there, and not to put him on blast, but I don't remember him asking. When you have that kind of relationship. He was like, "I'm out here in these streets. I'm selling books, I'm speaking. I'm doing this for you all." Kwame: It's definitely a fine line. Cornelius: Yeah. But you know, and that's the benefit of when I think about aspects of class and of race. You and I are the beneficiaries of our parents, who broke several color lines to establish intergenerational wealth, which other people have had for centuries. Cornelius: I think about my mum and dad. My dad didn't have that luxury either. He had to go hustle all the time. That I get to say to my daughter, "I have to go hustle today, but I don't have to hustle tomorrow," is a direct result of what my father did a generation ago. That's huge. Cornelius: Yeah. That's massive. Connecting to that, thinking about paying things forward, I'm just in love with the idea that so many kids look at poetry now as a thing that they can do. Cornelius: It's not the stuff that I got to wait for my college professor to give me permission to do. But it's the thing that I can do. What would be your top three, if you could give just top three tips to kids or to teachers for teaching, for writing poetry. What would be your top three? For the kid, for the teacher that's listening to this? Kwame: You mean, aside from make sure they have a copy of the Crossover and the Rebound? That's two right there. Kwame: I've always felt like the reason why kids haven't necessarily embraced poetry, is because the teachers are afraid of it. The teachers are afraid of it because at some point in our education, our formal education, our teachers were afraid of it. I think, when you look back at verse and rhyme and rhythm and figurative language, in kindergarten and in first grade, in second grade, it's there. Kwame: It's how we learned. It's how we, we're enjoying it. It's Dr. Seuss. I think something happens when we try to go from that to Shakespeare in ninth and tenth grade. Like that's a huge leap for anybody. How do you make that leap? I think that I wasn't necessarily doing anything different than what maybe a Nikki Giovanni, or a Langston Hughes, or even a E. E. Cummings. I just believed that I tried to intentionally create this text that would serve as a bridge, to help kids get over, to an appreciation of literature. That was through storytelling. It was through the use of visual poetry. It was borrowing these things that I had learned from reading these other poets, and sort of synthesizing them into this text, that kids would be able to say, "Oh yeah." Cornelius: Yeah, I was there, I was ground zero. Cornelius: The Crossover, I remember the first time I touched that book. What was interesting is a kid put me on to it. Kwame: That's what I was going to say. Kwame: I think the reason it took off, is because the kids embraced it. They said, "Oh wow." Particularly the boys. This is a book about basketball, let me try it. Once they got into it, they were like, oh wow, this connects. I'm interested, I'm excited. Then the teachers and the librarians saw that the kids, in particular the boys, and they were like, what are these boys into? I think the kids are really responsible for that book taking off. Cornelius: Oh, 100%. I remember the moment. There's a reference to a Jordan toothbrush in the Crossover. The kids was like, "Yo, it exists?" They were in the back of my classroom on eBay, 'cause like you said that he got the toothbrush off eBay. Kwame: Right, right, on Ebay. Cornelius: They were in the back of their classrooms, my classroom, hurdled around on a cellphone, looking for the Jordan toothbrush on eBay. Cornelius: It didn't exist, or at least, they couldn't find it. Cornelius: They couldn't find it. So they're yelling at each other, and I have to go back there to break it up. I'm like, "What are you all fighting about?" They were like, "He said that it's a Jordan toothbrush on eBay, but we can't find it." I'm like, "Who said?" Cornelius: They're like, "Kwame said." I'm like, "Ain't no Kwame in this class." They had your book, and it was just really cool, 'cause to me, that's close reading. They had read your book so closely that they were looking for the one detail. That they had experienced every other detail in that book in life, but they had not experienced that toothbrush, and they needed that toothbrush. Cornelius: Yeah. I just thought that that was, I was like whatever this dude is doing, whoever Kwame is, yeah. Kwame: Yeah, that was me trying to write a book that I would have wanted to have read when I was 12. That's what that was. That was me really trying to incorporate all the things I'd learned in poetry over the years. Being accessible, telling an interesting story, writing about the thing that I love, using different forms. Making the words dance on the page, being concise. Using rhythm, using a lot of figurative language. Being inspired by Hip Hop and Jazz on the page. It was doing all the things I had loved as a kid, as an adult as well. Having visited so many schools, knowing that this is what kids, this is how kids relate, this is how they connect. This is going to work. I knew it intimately. I felt it, I believed it. Cornelius: Yeah. What does it mean to you just that so many black kids came to life, when your words hit their desk? Kwame: What does it mean? It meant a lot. The answer is in the question. Cornelius: Yeah, it was, I mean, just 'cause witnessing that phenomenon as a teacher. Cornelius: Again, they were in the back of my room arguing about details in a book. Cornelius: Like arguing, serious barber shop banter in the English class, and I had never seen anything like that before. Cornelius: I've always prided myself on having like the fliest books. When the kids had the fly books and I didn't know about it, that was almost offensive to me. I was like, how do you know Kwame and I don't know Kwame? Kwame: The deal is man, we've grown up in a world where people say that boys don't read, or boys don't like to read in general. In particular, black boys don't read. I've had it from parents, from teachers, from kids. I just, the way I grew up, man, again, my parents sort of instilled, and my grandparents instilled in me this thing that, a, you're black. B, now what? Now, what you going to do with it? I never believed that Black boys don't want to read. I never grew up believing that. I grew up hearing that, oh Kwame is reluctant. Or Kwame doesn't want to read. Or seeing my friends who got the same sort of thing. My position was I was well-read, man. I was well-read having grown up in my parents’ home. It wasn't that I didn't want to read. Nobody was giving me anything that I wanted to read. Nobody was making the words jump off the page, and on to the stage. Nobody was giving me that, and they weren't giving it to my friends either. It's not like, it really, it sounds simplistic, but I don't think it's that black boys don't want to read. Like you said, give them a book that they're going to be able to relate to. Give them something that's going to make them go in the back of the room, and get on Google, and try to search. Kwame: Give them something that's going to connect with them. Cornelius: Yeah. What do you look for in a classroom? Because I've seen you do this, I've seen you walk into a space and find that kid. When the principal's been working with trying to find that kid, and the teacher has been trying to find that kid. I've seen you do it in minutes. There's some kind of Kwame Alexander x-ray vision that you have. Like, could you share that with us? Kwame: My super powers. There's this teacher and librarian in Singapore, his name is Scott Riley. I was with him and his students for a week. Scott says, "Teach the child, the child is the curriculum." Teach the child, not the curriculum. Kwame: I just, man, when I get into a class, my first instinct is not to pull out my book and read from my book. My first instinct is to make a connection with the class. I feel like if we make a connection, you'll read whatever I got. Kwame: When I leave, we're good. Kwame: You'll do what you got to do. Let's make a connection. How do we make connections? Kwame: We're sitting by the fireside in Ghana, and we're listening to stories. We're all being connected by this story, through song, through call and response in church. Let's make a connection. I'm not concerned about the book. Like the book will happen. But when I walk into a class, I am trying to make a connection. I find that that happens when I, talking about tips. Here is one tip. Sort of put yourself out there as the teacher. Be unafraid, be unashamed, be respectful, and just share your story. Let the students know, and it's going to be hard 'cause you got to put yourself out there, and that's hard to do. It really requires, it's an act of bravery. But I think the students will be a little bit more up to connect if you dance naked on the floor. Cornelius: That's real. I've always said that kids won't take the risk that we won't take in front of them. Cornelius: So that I put myself out there, then you put yourself out there, it means something, 'cause kids are looking. Kwame: Then I'm also looking for that one or two kids who I know can be a challenge, and like, okay, 'cause I know I was that kid. I want to find that kid and I want to bring that kid up with me. I want to make that connection. If I can get that particular. I'm always, I'm looking at a group connection, but I'm also looking at one or two kids, who I feel like may need some special attention. In many cases, man, it's black boys. Kwame: I'll go into a school, into a classroom. Like I was in this one school in Jim and the teacher, it was maybe second and third graders, and the teacher, she had this black kid, this black boy sitting right next to her knee. Kwame: She had his hand on his shoulder. It was like, it was obvious that he may be the kid who could sort of get a little bit too energetic, and be in the mix, and 'cause some ruckus. That's what I assume is why she had, she was sort of keeping him. She would talk to him every now and then. I made my way over there to him. Eventually, sort of took him with me. We did our thing. We had a blast. We interacted. We shared some poetry. At the end of the assembly, she came up to me and she was like, "We've never seen him that involved, that engaged. Thank you for what you did." I'm like, "It's all about expectation." Kwame: I'm just trying to do for him what my grandparents and my parents did for me. You got to expect a lot if you want a lot. Cornelius: It's huge, it's huge. I remember you came to Teachers College a while back, and in the wake of your visit, I had to explain your magic. People have a way of looking at what you do, or what I do, and they call it magic. I'm like, "Actually, it's the science." What you do is you recognize that a kid needed power, and you lent him some of your power. That, yeah, when I think about why kids act out in classrooms, kids act out in classrooms because the teacher has kind of established themselves to be the ultimate power. One of the things that at Newton teachers, I say, "If power is concentrated in one place, that power is going to be met with an equal and opposite force." Cornelius: If I'm constructing myself to be the absolute power, I'm also constructing my antithesis. One of the ways that you help kids acclimate to a classroom is by sharing power, and you do that quite organically. Just watching you do that has been really, really powerful. Kwame: I find that I, it was interesting man. It's a great way of articulating it. When you share your power, what's interesting is you end up with more power. Kwame: You end up with more power, not in the sense of power as a negative connotation. 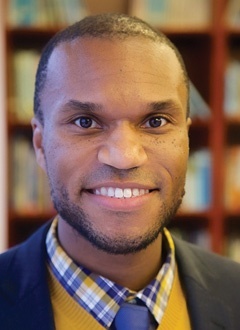 Kwame: Because ultimately the work you're doing is to offer an opportunity for students to become engaged and electrified, and edified through literature. Kwame: If you're doing that, it empowers that work that you're doing. Cornelius: Exactly, it's the parable of the loaves and the fish. Where I'm going to share, and this will multiply. Cornelius: In a really, really big way. Well man, it's just like great talking to you. I got one last question. Cornelius: Of course. This question for every teacher who wants to build the next Jacqueline Woodson, the Jason Reynolds, the next Kwame Alexander, for every teacher that wants to try their best to be like, hey, what I love about you two is you teach write more shops. What's your favorite writer strategy? When you're sitting in the corner of your writing space, what's your go to strategy? The thing that gets your pen moving across the page. I would love to be able to share that with teachers. Kwame: Wow. I wrote this book called The Write Thing, and it's a book about the writing workshop, that I did for nine years in 76 schools. The goal of the writing workshop was to a, teach students how to write a poem, a publishable poem. To teach students how to present that poem in a public space. Lastly, to teach students how to publish, all in one day. Kwame: This was a six hour workshop, and generally, we did it with 30 students in a room, in a library, for six hour straight. The workshops always, it was a writing workshop, with those objectives. This would be tip number one. The workshops always began with me showing what poetry is. Not telling you, you should like poetry, or here is why poetry is cool. It began with me showing that poetry is cool. If it was a group of 11 graders, maybe it was a Haiku that I just, I didn't even introduce myself, I just walked in and said, "This is a poem that this, this boy over here wrote for this girl." Or, "this girl over here wrote for this boy." "It not that I don't love you," she says. "Indeed, I do. I want to last all your lips, tame them, reign them into my stable. But first, my love, you must agree to commit to a breath mint." In that 10 seconds, every kid in this writing workshop is laughing and like, oh, snap. You're like, what's next? Okay, if it's a group of first graders, maybe it's a rhythmic poem. Ebony trap dark black and lovely, brown look and jumping, double black brown, night black, out of sight black, so black, purple black. Blue black black, blue black black, and the kids are like, "What's going on? What's going on?" Maybe it was a read aloud. But it always began with the let me bring the words from the page onto the stage, and show you how poetry can be cool. Now, that's tip number one. I've got you. You're into it. What's next? Now, maybe there is some discussion about, is there such a thing as a bad poem. Ask this really, this question that everybody is going to have an answer to. Generally the answer is going to be no, with that question, which is a great entrée into sort of having a discussion. No, there's no such thing as a bad poem, because poetry is all about feeling, is all about your heart. Is there such a thing as bad fried chicken? Kwame: One Sunday, we're going over to Cornelius' house, and we're going to have fried chicken and mashed potatoes and mac and cheese. The mac and cheese is dry and hard. The mashed potatoes are runny. You bite into the fried chicken, and there's blood. Who's going back to Cornelius' house? Nobody. Kwame: The next Sunday we go over to Holly’s house. Holly's making fried chicken, mashed potatoes and mac and cheese. She's got five cheeses. She's got Gouda, she's got Gruyere, she's got Cheddar. She's got mashed potatoes that are garlicky and buttery. She's got fried chicken, it's just meat's falls off the bone, and so tender. Who's going back to her house? Everybody raises their hand. Students, I ask you, there are ingredients to going to making a good meal. The temperature has to be right. What are the ingredients to go into making a good poem, so that we want to come back and enjoy your meal. I need one word answers. Within the next 10 minutes, every kid is raising their hand. Rhythm, feeling, originality, metaphors. Okay, so now we got 20 or 25 things that are on the board. Now, let's write a definition. Based on these words, here's our definition. Poetry is an arrangement of concise words in a rhythmic manner that convey a message, using figurative language, and an originality and feeling, doing all this by showing and not telling. The kids got their definition. All right, for the next five hours and 45 minutes, this is your definition by which you're going to use. You've created it. I didn't, it's yours. Kwame: Now, let's talk about the different forms of poems. We go through that. Tip number two, the biggest thing I found that works in these writing workshops to get kids immediately engaged in writing. Again, I only had six hours with them. I need them to write a publishable poem, and then publish. Let's write a group poem. We'll write a Haiku together. All of these tips are in the book The Write Thing. Kwame: I did it for nine years, and by the end of the workshop, we have a publishable poem, kids have written, the introduction, the follower, the dedication. They've ordered a barcode. They've designed the cover. They've done all this work. They created this book. Two weeks later, paper back books come back from the printer. Now, one might say, "Well, Kwame has just created this writing workshop, and the goal was to get kids to write and publish a book." No, ultimately the goal Cornelius, was to get them to say yes to what's possible. Kwame: To let them know that you can do it. Kwame: To let them know that you got to be accountable, you got to learn, you got to prepare and do the work. To let you know that ultimately, if you are willing to say yes to your lives, then your dreams can happen. You can be who you want to be. I'm going to help you get the confidence. I'm going to help trigger your voice. You can go out into this world and do, and be who you need to be. I guess, in a way, I'm still, my father was right. That my family, my parents, my grandparents, they did all this. That's what I'm trying to offer to the world. Cornelius: Wow, thank you so much. You've given the world books, but I think more importantly, you've given kids power. As an educator, speaking for many, many educators who listen to this podcast, I can say, seeing empowered kids in the world doing what they were born to do, being who they were born to be, is our greatest joy. Thank you for cultivating that.